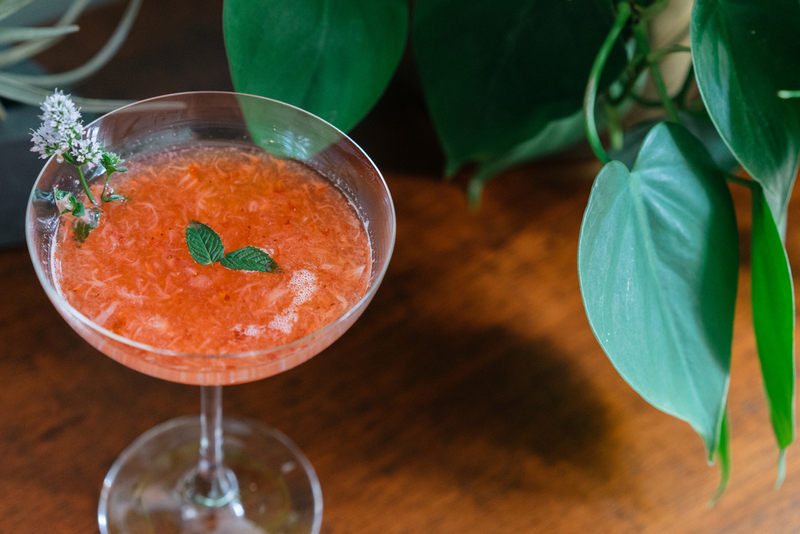 Anyways, the truth is that a classic daiquiri is quite simple, refreshing, and does not (I repeat does not) need to be blended with ice cubes (unless you really want to, that is). When Chris and I are entertaining a small group (2-8 people), we like to have a welcome cocktail ready for guests when they arrive to set the tone for the evening (you know, boozy and filled with delicious food), and we'll definitely be adding this drink to the roster. Directions: Muddle strawberries. Pour muddled strawberries, rum, fresh lime juice, simple syrup, and ice cubes into a cocktail shaker. Shake vigorously and pour into glass. Garnish with mint and enjoy.